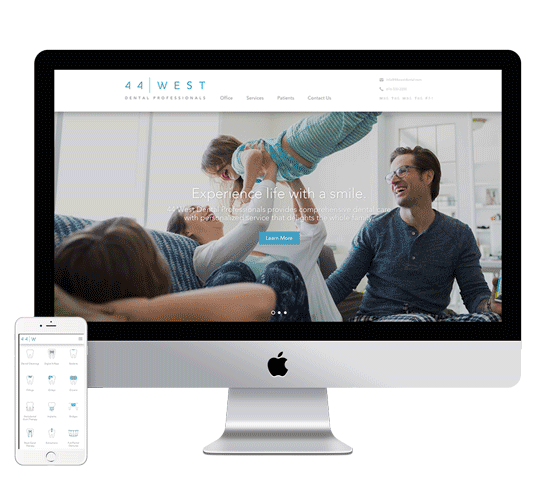 In collaboration with J6&Co, a local design agency, we developed a responsive and intuitive website for 44 West Dental. The website showcases 44 West Dental’s services with custom icons, directs new patients to key content, and offers multiple ways to get in touch. With an eye for detail, we took J6&Co’s design and brought it to life with pixel perfect detail. By building on the WordPress CMS, non-technical users are able to make edits and updates to the website with ease.